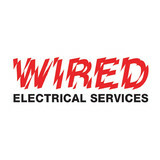 Wired Electrical Services is a family owned and operated business. We are Houston based and centrally located. Our technicians have an average of 12 years experience in commercial and residential wiring. We take pride in exceeding our customer's expectations. We are a proud member of the Better Business Bureau. We offer a broad range of services including new construction, renovations, panel upgrades, inspections - all the way down to installing a single outlet in your home. Wired Electrical Services is an all around solution for all of your electrical needs. No job is too big or too small!. 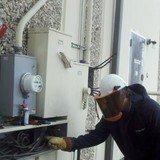 At Lexem Electrical, we strive to provide a full range of electrical services in the Houston, TX and surrounding areas. From new construction to home remodel, our services will surely meet any of your electrical needs. With over 10 years of knowledge and experience we are able to service and execute jobs on a timely manner, within budget and to your satisfaction It's our ultimate goal to assist our customers the best we can and to build lasting relationships so we become your only electrician you will ever call! We are fully insured and licensed by the Texas Department of Licensing and Regulation and are fully committed to providing you uncompromising electrical service on every project, big or small. When you have commercial or residential work that needs to be done quickly and with an eye for quality, look no further than Paul Richard Electric. We have the most highly-trained electricians, with 6000 hours of class room knowledge and years of experience working for both commercial and residential clients. As Aggieland's favorite electricians, we are here 24/7 to take your call! You will never pay more than you expect because there are no hidden fees and no surprises. We show you the total price upfront, before we start the work. Our expert technicians are background checked, drug tested, and ready to help you with all of your electrical needs. Our on-time and same day service is sure to leave you with 100% satisfaction guaranteed. Mr. Dependable Electrical Services has more than 13 years experience as a specialist contractor in the electrical service industry. We pride ourselves in providing every customer with solutions to meet their needs and their budgets. We work predominantly in the Houston, Humble and Surrounding areas on diverse projects in market sectors such as single family dwelling, multi family dwellings and commercial businesses. We pride ourselves on our technical expertise and are committed to exceeding our clients' expectations. We work together with our clients to understand their needs, systems, and expectations and offer a flexible approach that ensures our projects meet deadlines and exceed expectations. Our experts have a wealth of knowledge and a can-do approach which, in turn, inspires, motivates and encourages the rest of our team. Please feel free to look through our projects and contact us to arrange a quote or for more information." When it comes to finding a electrician, accept only the best. Mr. Dependable Electrical Services is a company owned and operated by John LaBeet. John puts a premium on providing consistent quality and true customer service. He offers a wide range of professional residential and commercial electrical services for his valued clients. John's extensive experience, consistent quality, unmatched customer service and local focus make him a leader as an electrical troubleshooting specialist. He has built his reputation by treating his customers like family. If you’re looking for a timely and reliable residential electrical contractor who really cares and takes pride in their work, with John and Mr. Dependable Electrical Services, that’s precisely what you’ll get. Aspire Sales & Electrical Services, LLC is a full-service electrical company. We offer professional electrical repairs, electrical remodeling, and wiring for new construction for both residential and commercial customers. We specialize in sales, installation, warranty and maintenance. No electrical or wiring job is too big or too small for Aspire Sales & Electrical Services, LLC. Call for a FREE, no hassle estimate today! Whether you need home lighting for ambiance, outdoor lighting for curb appeal, or power on in the storm with Generac, we’ve got you covered! We are distributors of KVAR Energy Management, installers and programming experts for products like Savant (formerly LiteTouch) and certified technicians for Lutron Homeworks. Our experts are trained and educated to recommend, install and service the right product to make your project perfect. Give us a call today and see how we can inspire your next electrical job. Thor Enterprises L.L.C. 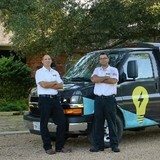 - Electrical Services are electrical specialists in Houston, TX. We offer reliable and dependable whole house surge protection service. We are professionals that you can count on with your power strips to safeguard your home and fragile electronics. GG Electric Corp. is a company that takes the utmost pride in its work, providing safe and reliable service. The owner of GG Electric Corp, Gerardo Garcia, is a Master Electrician who has been in business for more than 20 years. Mr. Garcia started GG Electric Corp from the ground up, and he has owned GG Electric Corp. for more than 10 years. The pride that all employees here at GG Electric Corp take in their work translates into quality workmanship and the ability to consistently meet deadlines. GG Electric Corp has done work for Homebuilders such as Lennar Homes, Chesmar Homes, The Home Masters, Post Homes and many more others. Homebuilders choose GG Electric Corp because they know that they are getting affordable and above all reliable work. Here at GG Electric Corp, quality is second to none. We understand that we are not just helping our clients build houses, but rather we are helping our clients build homes. Grounded is an electrical subcontracting company capable of performing all electrical work in homes and commercial business. The company prides itself on the ability to perform high customer service with median prices. We are not your ordinary skilled trade small buisness. If you are in need of any electrical work don't hesitate to give us a call or send us a message. Established in 2006 Storm Guardian Generators is an elite sales, service and installation dealer for Generac Stand-by Generators, one of the most trusted names in standby power generation. Storm Guardian Generators is family owned and operated by life-long residents of the Greater Houston area. We carry the complete line of fully automatic generators and transfer switches for residential, commercial and industrial applications. With over 1200 installations we have the experience you are looking for. Founded in 1991, Image Electric has the long standing Experience, Training and Education to meet and exceed all your Electrical needs at a great price. We do the things that others say cannot be done and focus on the details, cleanliness and quality that make your installations not only practical, useful and cost effective but Beautiful as well. Our personnel are Clean-cut, Well spoken and Highly Educated Craftsmen. We can work with you from Brain Storming to Design to Finished Project and all of our work is guaranteed and insured. PCI specializes in all types of electrical installations. What makes us unique is that we won't leave your home until we know you are completely satisfied and we love to see what interest our clients. Family owned and operated with 20 plus years experience in our field. We offer services for commercial and residential as well as remodels. We offer free onsite estimates . We understand that the world around us is technology driven and we offer solutions to help keep your world connected. Call us today to schedule your free estimate 281-883-6667 . Southern Smarthome is a family owned and locally ran business. We offer a variety of services from installing your new video doorbell, to upgrading your network and providing you with lighting fast WiFi to installing a new alarm system for you. From there we have the knowledge and experience to bring all of those smart home things together and make it a great user experience. 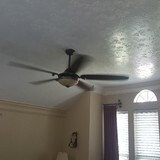 We also offer free in home or office estimates. Every day, Electric City delivers the highest quality electrical service to homeowners. No matter how big or small the job is, we will respond to our customer needs with the highest level of customer service. Our technicians adhere to the highest standards of excellence, whether it is a simple fan installation, or wiring a swimming pool. Whatever your electrical needs are, we're here for you! What do licensed Tomball electricians do? An electrical contractor plans, installs and repairs wiring in structures. He or she works closely with the home’s general contractor or remodeling contractor to determine the specific electrical needs for the project and to ensure that the wiring will meet Tomball, TX building codes. An electrical contractor’s job also includes installing and repairing fixtures, switches and other visible components of electrical systems. With today’s technological needs and advances, many electricians in Tomball, TX also are trained to install fiber optic and coaxial cables for electronic equipment. Certain electrical companies may design and install data systems and wire for security features such as alarms too. Some Tomball electrical contractors specialize in specific areas, such as HVAC, low-voltage appliances and systems and more, so be sure to ask about their training to see if it fits your project needs. Find a certified Tomball electrician on Houzz. Narrow your search in the Professionals section of the website to Tomball, TX electrical contractors. Here are some related professionals and vendors to complement the work of electricians: Lighting Showrooms & Sales, General Contractors, Solar Energy Contractors, Heating & Cooling Sales & Repair.